As a Hunter Douglas dealer, of course we’ll mention that this brand’s roller and solar shades have become synonymous with “shades” to many homeowners. It makes sure your home has maximum light and UV ray control as well as privacy and insulation. Better still, its designers assure you get the greatest variety and aesthetic appeal through Hunter Douglas’ selection of bold colors and fascinating textures. When you go with Hunter Douglas designer banded shades, you get roller or solar shades made with both solid and see-through bands of fabric. Fine-tune your shades according to which band you align, affording you a wide range of light control and privacy options. We offer you many fabric color, band height, and geometric pattern choices too. Check out Hunter Douglas’ updates to traditional roller and solar shades. Now you can choose from an array of more than 330 fabrics, special new designer options. Designer roller shades also give you extra control and luxury in that they are engineered to operate easily. You can easily customize your new shades through our motorization option. If you’re keen on textured window treatments, designer roller shades include the ageless look of the Alustra® Woven Textures collection. Does your home have a problem with excess light coming from outside? Never let light pollution keep you awake again! Designer roller shades can come with dual rollers so you can lower an opaque rear roller shade to block it. Designer screen shades are Hunter Douglas’ solar shade solution to the problem of excess UV radiation pouring through your windows. This brand’s labs have learned out to block harmful rays while letting in the natural light you want. Window Concepts recommends these shades for porches and sunrooms. Hunter Douglas has matched the simplicity of roller shades with the energy savings from its cellular honeycomb shades. Thanks to air between softly curved fabric panels, Sonnette™ roller shades keep heat and cold out of your home while letting in the sunshine. This option offers your 48 color choices as well as a selection of fabric opacities. 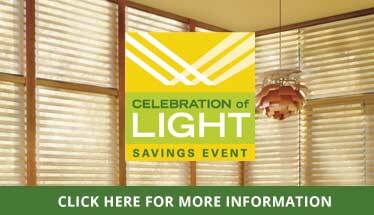 For the state of the art in roller and solar shades, Main Line households know to come to our Paoli, PA store.